The Mario Party series is coming to the Nintendo Switch system with super-charged fun for everyone! The original board game style has been kicked up a notch with deeper strategic elements, like specific Dice Blocks for each character. The game also introduces all-new ways to play, including Joy-Con controller enabled minigames, and new modes to enjoy with family and friends. 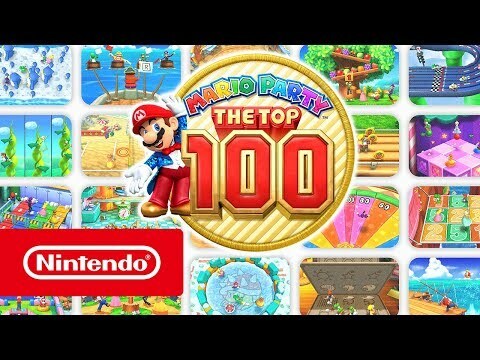 The top 100 minigames from all Mario Party series home console games are rolled up into one big party you can take on the go – It’s the ultimate Mario Party! A new approach to Mario Party: quicker play and simultaneous turns! Team up with Mario, Peach, Donkey Kong, and more in the most perfectly portable Mario Party game to date. Bowser crashes the latest Mario Party, the first installment of the series on the Wii U console. In the new Bowser Party mini-games, play as Bowser himself and face off against up to four others playing as Mario and friends. Control Bowser using the buttons, motion controls and touch screen of the Wii U GamePad controller in different ways. 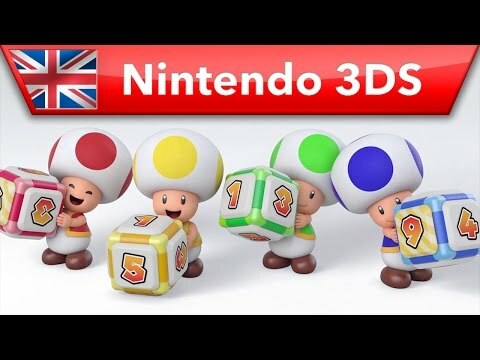 Mario’s latest party has a tropical theme with seven new game boards and 80 new minigames including some that use the motion controls of Nintendo 3DS and the ability for four Nintendo 3DS owners to play all multiplayer game content with only one copy of the game via Download Play. Roll up, roll up! The carnival is in town and it's time to party! Join Mario, Luigi, Peach, Yoshi, DK and more of your favourite Nintendo characters as they compete across six game boards and more than 60 minigames to win the coveted prize: a year's supply of candy! But Bowser isn't about to let them get away with it.